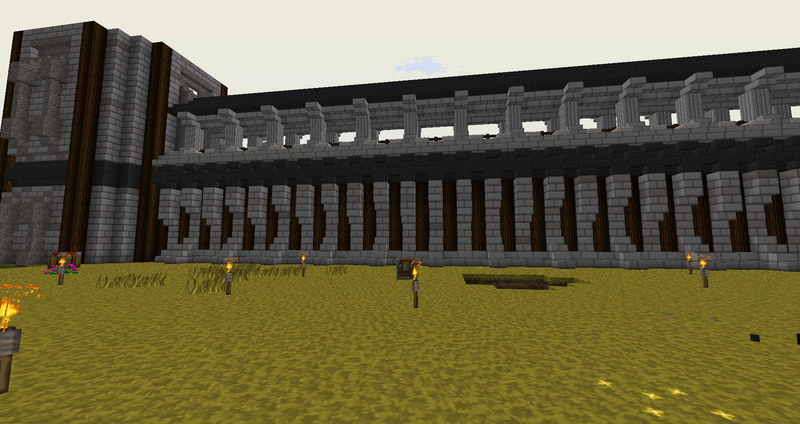 Also I am using the Sevtech Ages modpack with Sphax textures. The first question is what do you want the build to be/do? Historically castles (generally defined formally as a fortified dwelling house) were built for a purpose. There are some nineteenth century examples [famously Neuschwanstein that were built (or rebuilt) primarily to look like the contemporary ideal castles; but earlier examples served some purpose… most commonly as a strongpoint from which a critical local resource could be controlled. Come up with a reason why some person/group would have squared off and leveled the area and much of what 'should' be there will follow. Something to remember is that castles don't need to be big, Poenari rebuilt/expanded by Vlad the Impaler in te 15th century had only about a 10x60 meter footprint. Considering the pics posted, I'd suggest developing your build as guarding harbors on one or both sides. This would likely involve extending the outer bailey to include docks at water level (potentially with a passgae for ships extending throughthe headland on which you've built). To me the covered arcade atop the walls and the exterior buttressing suggest a structure intended to look imposing rather than actual defensive walls. That role would be served by the outer walls lower on the headland which would likely be smooth on the exterior (making them harder to climb and more resistant to shot), but which would not be visible to a ship entering the vicinity. Thank you ScotsMiser for your input, I've read thought that you have said and I understand the purpose of castles in the old days, but I've always just loved the way they looked. 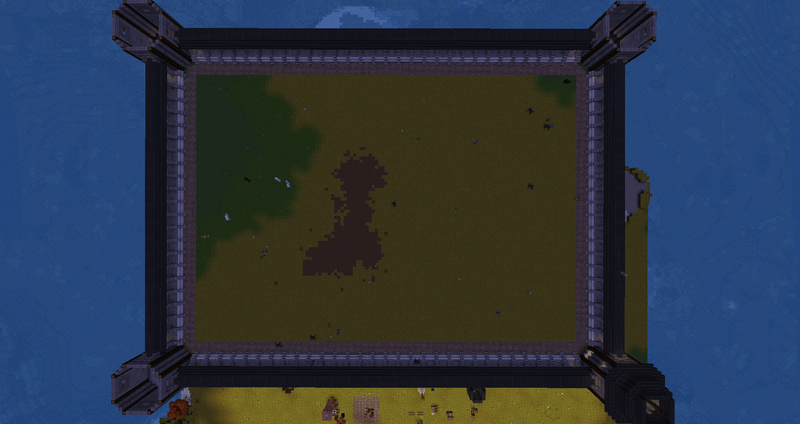 The purpose of this castle is just to look good, be impressive like a rich nation build it, but at the same time be usable to house like rooms for storage and housing and such, aka be plausible that it could of been used as a real castle, my goal is to use this as a base eventfully build a city in front of it with farms and pens and everything else. 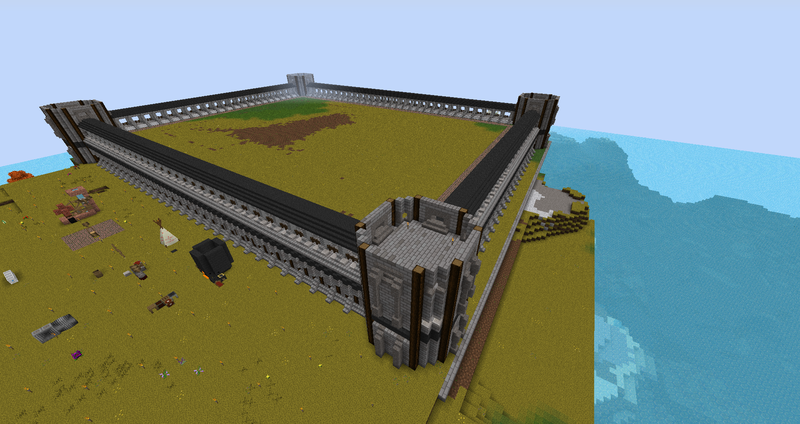 The idea is to build it and as I go thought the ages in the modpack it will slowly take on a more steam punk look, so the castle lost in time is the theme. Yes thank you so much, that was what I was trying to do, I'm glad someone else can see that, I am how ever building this is survival mode as well, took me a while to figure out how to get into creative, ended up launching lan and typing in the command sense they are disabled in single player but I wanted to take better pictures. 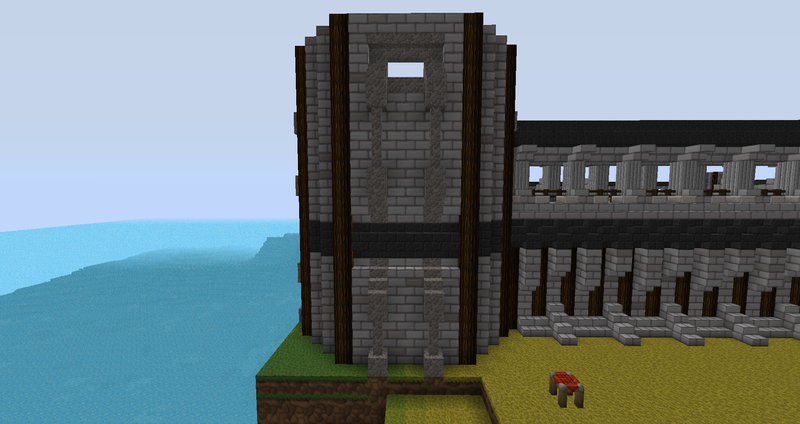 If you understand historical castles, you will be able to build a better looking one. Trust me. Here is a great video on the subject . You should also explore his channel for other inspiration about castles. The one you are building is fine, but you probably won't find a good looking castle with a perfectly rectangular wall like that. For Build Tutorials, Redstone Tutorials, and my Let's Play Series check out my YouTube Channel.